To change call settings, click your profile picture at the top of Teams, then click Settings. 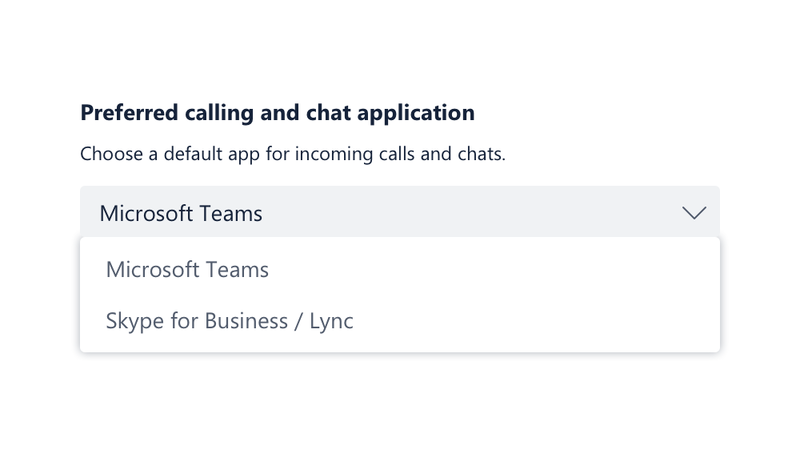 In the General section, you can select either Microsoft Teams or Skype for Business as your default calling app. In the Notifications section under Other, you can turn off the sound for incoming call notifications. Go to the Calls section to set up call forwarding (choose Calls don’t ring me) or to have your calls simultaneously ring you and someone else (choose Calls ring me). You can also block calls from anonymous callers that don't include any caller ID. Note: If you don't see Calls on the left side of Teams, talk to your IT Admin.